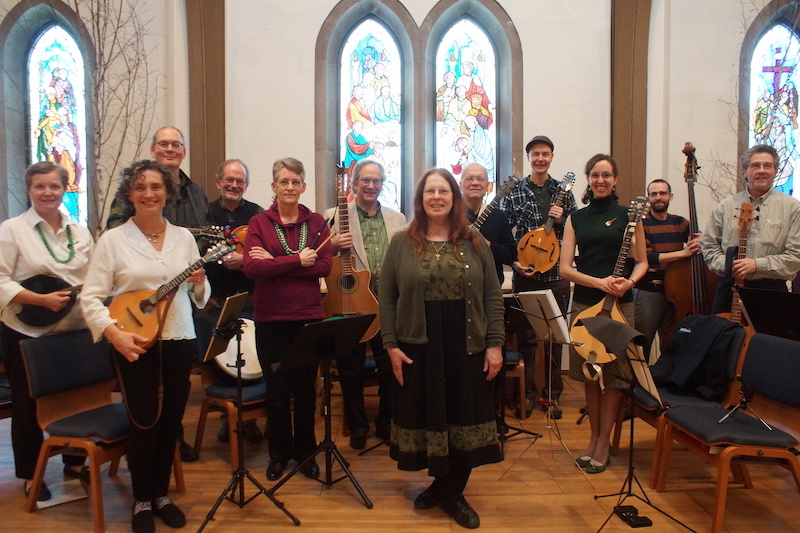 The Minnesota Mandolin Orchestra, a 501(c)(3) organization, was formed in 1991 to preserve and foster the enjoyment of mandolin music. Our repertoire includes polkas and marches from the early 20th century, transcriptions of classical music, contemporary compositions, and arrangements of popular tunes. The orchestra plays at festivals, senior-living facilities, and parks in the Twin-Cities area. Contact us if you have an event you'd like us to perform. Orchestra members can forward their availability to play events using our on-line RSVP system. What Do I Do with My Mandolin? Why, join the Minnesota Mandolin Orchestra, of course! Write to Lon Hendricks, our conductor and artistic director, for more information, or just come to any rehearsal to see if you like what we do. We welcome guitar and bass players, too! More things to do with your mandolin, guitar, or bass! From time to time, subgroups of the orchestra perform themed productions. 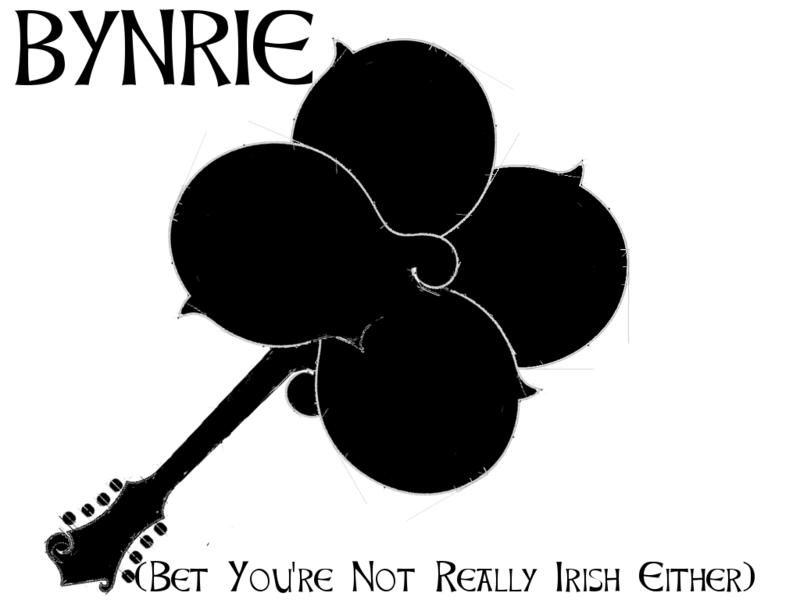 2019 will be the second time around for BYNRIE, fielding Saturday and Sunday Saint Patrick's weekend performances at the Cathedral of Saint Paul and Saint Anthony Park Lutheran Church. BYNRIE played its second annual Saint Patty's Day show at Saint Anthony Park Lutheran Church with a silent auction to support the Orchestra and Sherry Ladig. Prizes included Twins tickets, a mandolin banjo, and a BYNRIE house concert. 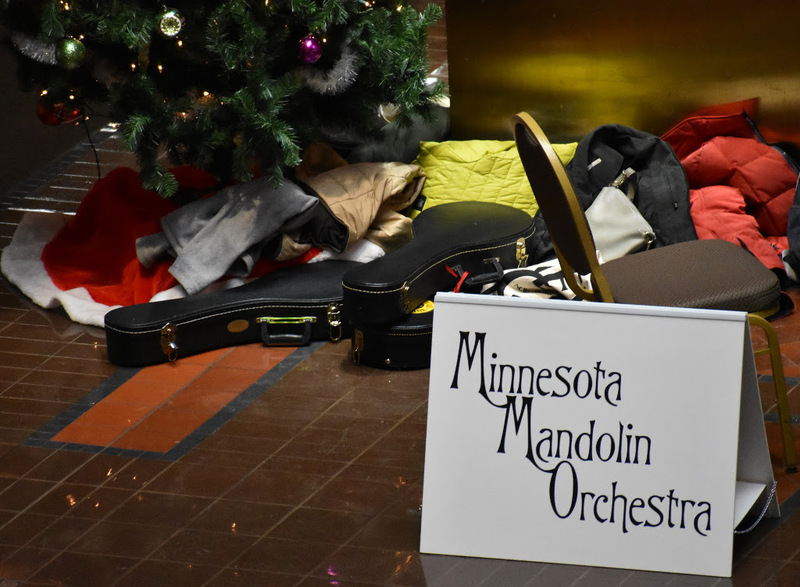 In an unusual schedule, the orchestra played a mid-week lunch-time performance at the beautiful Landmark Center in downtown Saint Paul. Sound projection into such a large space is challenging but Allison, our flute soloist (and 2nd mandolin member), cut through with ghostly tone. Other solos were performed by Ben, Tate, and our conductor Lon. A subset of the orchestra members played at the Can Can Wonderland Saint Patty's Day Festival. The group, dubbed Bet-You're-Not-Really-Irish-Either, played a set of traditional Irish music with some Irish-themed additions from our friend Sherry Ladig. 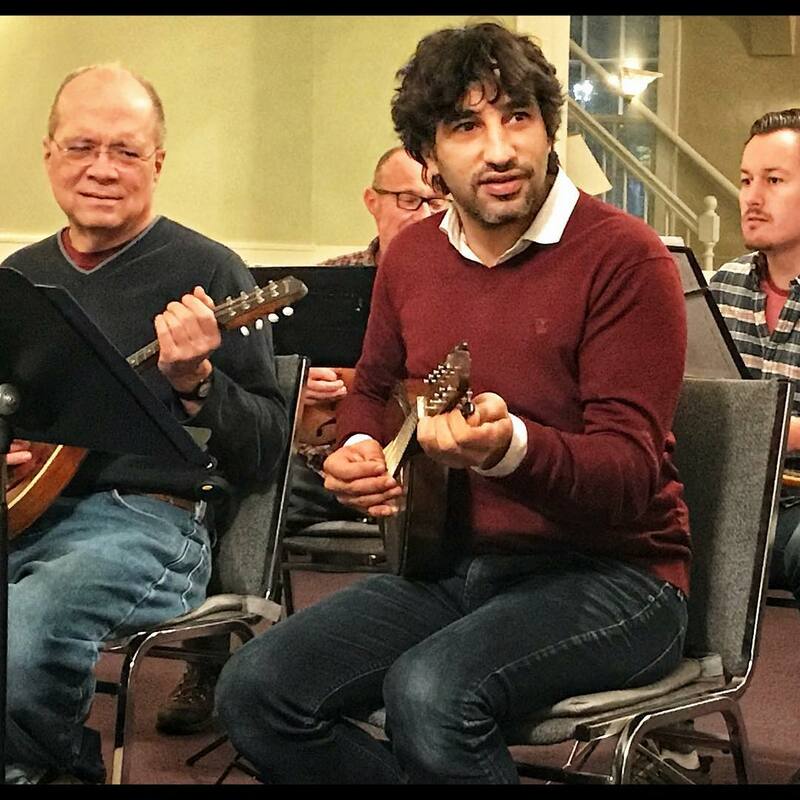 Avi Avital dropped by our rehearsal to practice with the Orchestra ahead of his performance at the Ordway. He discussed with us the tradition of mandolin orchestras at kibbutzim and played the Bach Chaconne for us. WOW!